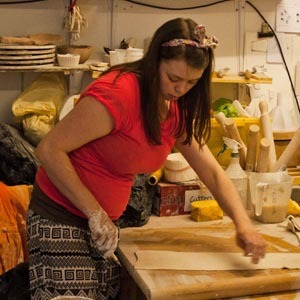 ceramics; textiles; mixed-media — all handmade in Carlisle. When not up my elbows in clay or thread I love to cook, make jam and, of course, drink wine. Unfortunately this calls for lots of washing up — which is something I don’t like! New/old heirlooms and treasures inspired by the narrative and oddness of the quirky and bizarre objects that lurk in forgotten corners. Inspired by Granny’s guarded things, dug out of the attic and revived.